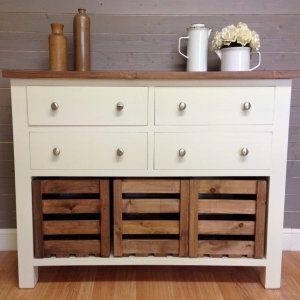 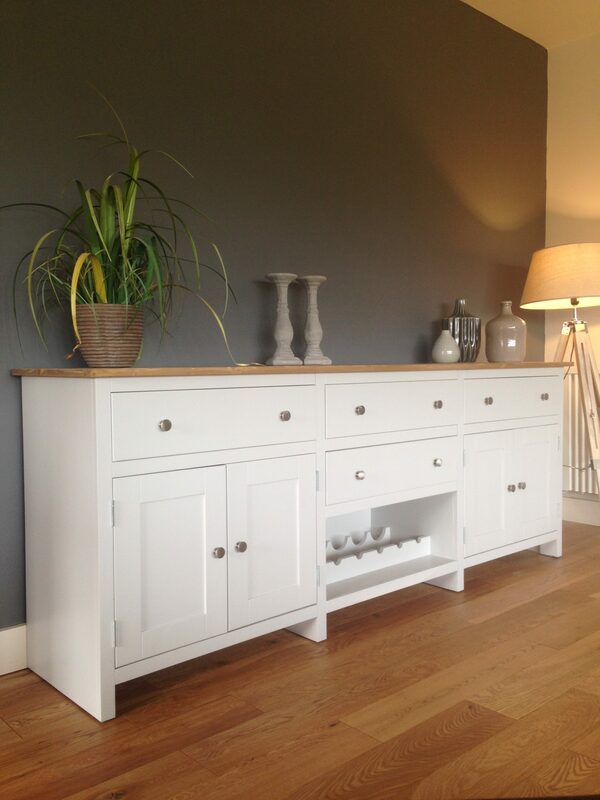 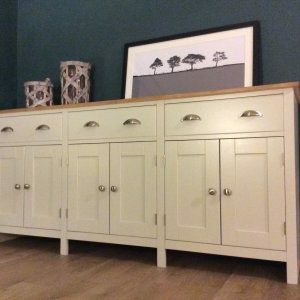 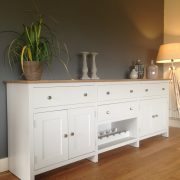 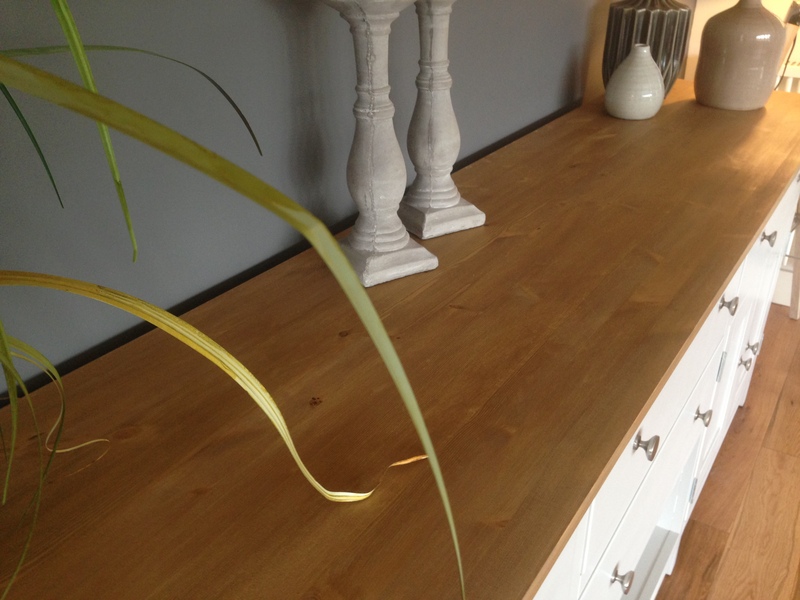 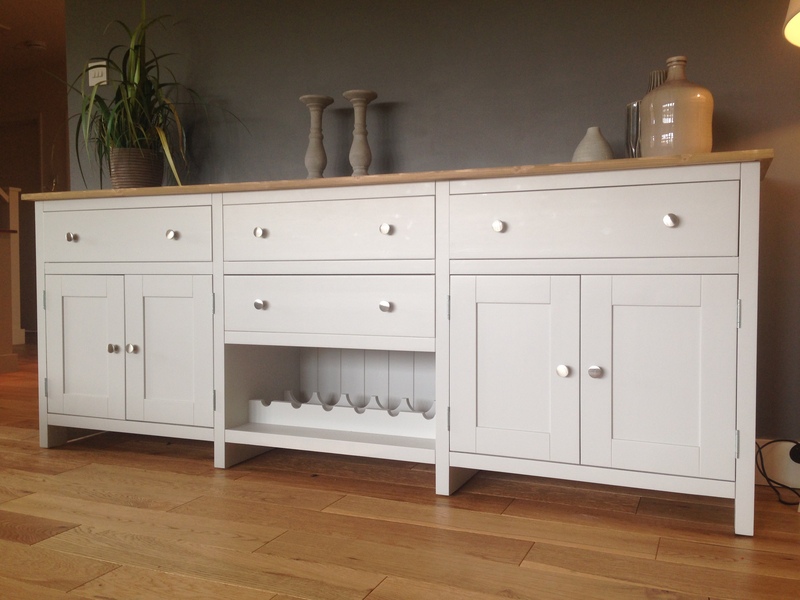 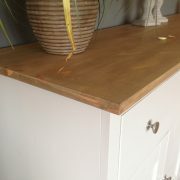 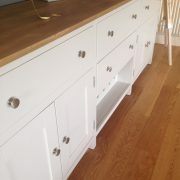 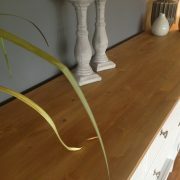 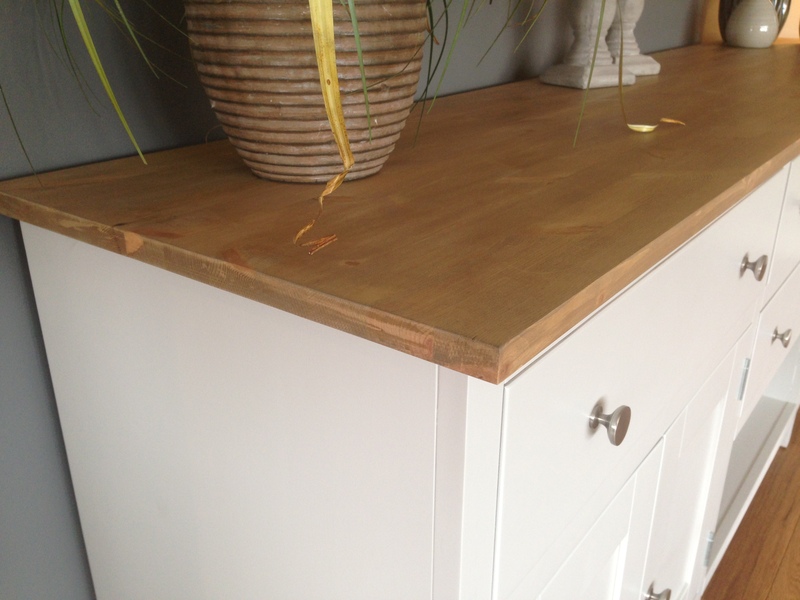 A BEAUTIFUL SIDEBOARD WITH A SLIGHTLY MORE CONTEMPORARY LOOK HAVING FOUR SQUARE FEET & PLAIN SHAKER STYLE DOORS. 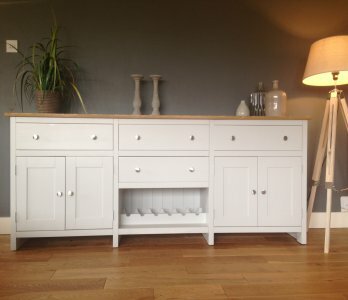 A VERY POPULAR DESIGN BUT ALSO VERY PRACTICAL WITH LOTS OF STORAGE SPACE & A WINE RACK INCORPORATED INTO THE DESIGN. 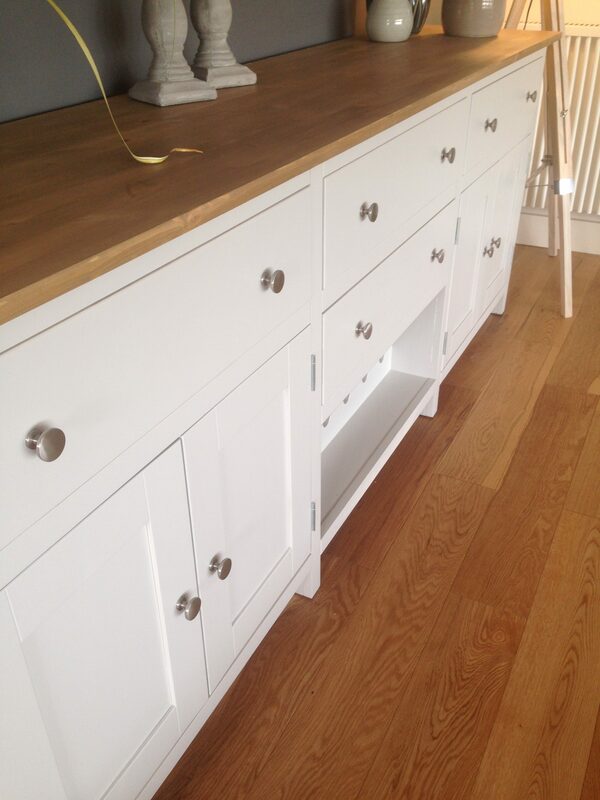 THERE IS THE OPTION TO REPLACE THIS WITH A DRAWER OR CUPBOARD DOORS. 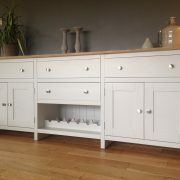 (ALSO AVAILABLE IN 4FT, 5FT & 6FT VERSIONS).